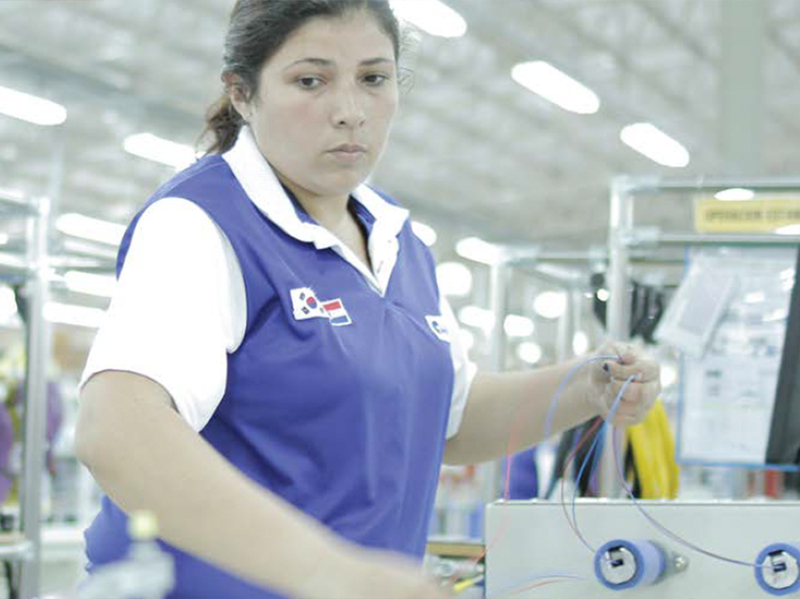 Paraguay has experienced impressive economic growth in the past 15 years compared to other Latin American nations. The country’s macroeconomic stability is clear, and it has a solid and solvent financial system, a stable tax balance sheet, and a controlled level of public spending ­— not to mention manageable inflation and a growing diversification of exports. The country has a large and young labour force, at cheaper costs than in its neighbouring Mercosur nations. The minimum wage is US$366 per month (for 2016), with social security contributions siting at 25%. The cheapest electric power within the Mercosur region is found in Paraguay, which boasts two of the largest hydroelectric power plants in the world: Itaipu — a joint undertaking with Brazil — and Yacyretá, a binational project with Argentina. The country produces a surplus of energy, making it the fourth-largest exporter of electricity to the rest of the world, behind France, Germany and Canada. The country’s geographical position, at the heart of the Mercosur, has made it into a logistics platform for importing and exporting goods. This has been helped by the area of Brazil near the border with Paraguay witnessing considerable economic development. On top of this, Paraguay’s mild climate — with some 310 days of sun a year ­— is the final indication that the country has some outstanding advantages for international investors. In August 2013, the Paraguayan people democratically elected Horacio Cartes as a President who could tackle the country’s issues. He stood as an independent businessman with a clear mandate to open the country up to the world, modernise public administration and improve Paraguayans’ quality of life. To facililate these measures, the Cartes Administration is carrying out a series of legal reforms to generate the necessary conditions to attract foreign investment and to boost national investmet, too. Such programmes are supported by government capital as well as public-private partnerships, particularly in the case of infrastructure. The APP law, which was approved in 2013, and Law 5074, which permits public capital to finance the private sector, have paved the way. In addition, investments in the energy sector are being facilitated, so long as they do not negatively impact the environment. Preferred investments in this sector include those in which the finances have been assessed and those which promise the generation of employment. Key to the government’s strategy is a reduction in the instability of the agriculture industry, through reducing the direct impact of climatic fluctuations. The administration is developing projects involving more modern types of irrigation, to stabilise the production levels. Without a doubt, the solid macroeconomic foundations of the country, its demographic conditions, the low cost of oil imports and a very competitive electricity sector, together with the other elements outlined above and its business-friendly legislation, are factors that foster economic growth in Paraguay.